"Resonance has excellent teaching methodology. The explanations made by teachers make the subject easy to understand. The tests were very useful. I extend my heartfelt thanks to the teachers who taught me how to tackle the problems and were readily available whenever any help was required. The main focus of Resonance is always on building the concepts. The tips provided by the faculty members and easy methods to find solution to a problem has helped me a lot." "I appreciate Resonance faculties and its unique teaching methodology. I am also grateful to RKV Sir and team for their constant guidance and moral support. The study material and the tests helped me in brushing and developing my basic knowledge. The teachers at Resonance connect to students on one to one basis. I am really thankful to team Resonance." "The teachers at Resonance made a lasting impact on my mind. The staff at Resonance supported me throughout my preparations. They made me aware about various examinations. The faculty at Resonance unchained my potential at the time of my nervousness and helped in boosting my confidence. Thank you Resonance!." "With so many achievements in my bag, I would like to thank Resonance for the same. Resonance helped me a lot. The standard and variety of questions were exceptionally good. The competition here is so huge that it really kindles the competitive spirit and gives a feel of exam only, which overall helps in decreasing the fear of exams." "The study material provided at Resonance helps a great deal in clearing all the competitive exams. The one to one doubt clearing sessions are always of great help. The staff is very dedicated whose main concern is always the fulfillment of a student’s dream." "The teachers at Resonance are really cooperative and hardworking. They take keen interest in teaching and solving the doubts of the students. The tests cover all the important topics of Olympiads. I would recommend all the students to pay attention in the class and do things as per guided by Resonance." "The academic staff was very friendly and experienced. They not only helped me in my academics, but also teaching me values of life. The study material and the tests helped me in brushing and developing my basic knowledge. I am really thankful to team Resonance." 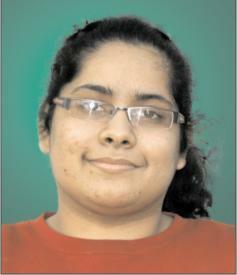 "I owe my success to HBCSE, Resonance, my school, parents, friends and finally God. Without the help of all these people it would not have been possible for me to succeed. I want to give special thanks to my teachers for making me eligible for this.I prepared for IJSO mostly from Resonance study material, some other books and notes from HBCSE teachers. Special classes from all my teachers at Resonance helped a lot and Pre Departure Training Camp at HBCSE proved to be very useful. Mock Test for NSEJS at Resonance also helped me clear the first stage of IJSO. For future IJSO aspirants, I would like to say that just mugging up the things won't help, try to understand. Use logic and understanding of basic concept for everything you do." 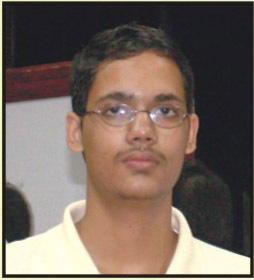 "Resonance made my dream of being selected in the International Physics Olympiad come true. They provided extra study material and problem sets and most importantly made us aware of such opportunities." 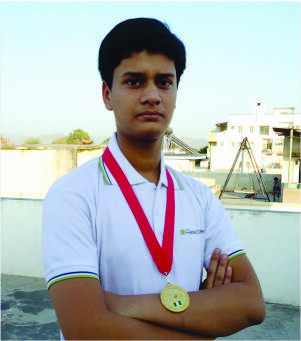 "Resonance helped me a lot for my selection in the International Chemistry Olympiad. The faculty really is very experienced in preparing students for Olympiads. They encouraged me for extra studies and provided the material for preparation. Practical knowledge was also given which normally does not happen in other institutes and which made me perform well even at the International level ."